Originally announced back in January Actress Kerry Washington was named the first Creative Ambassador for the widely popular nail polish retailer OPI. 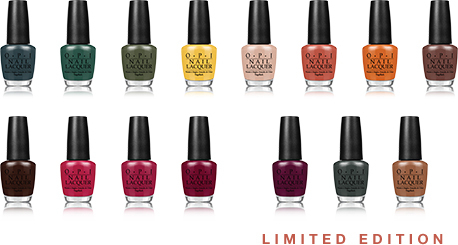 Washington D.C. Fall/Winter 2016 collection for OPI is now available. In true OPI fashion, each shade pairs a cute tongue in cheek names inspired by Washington D.C. and hold a personal meaning to Washington. Some shades in this collection include Freedom of Peach (Creamy Peach), Inside the ISABELLEtway (Caramel color named after her daughter and Washington’s famed Beltway), Kerry Blossom (Plum shade named after the actress), CIA =Color is Awesome (Dusty Blue), “Liv” in the Gray (Dark Gray) and Yank My Doodle (Tawny Copper). Scandal fans will enjoy this collection for the subtle nods to your beloved show. Although this is not marketed as Scandal theme as a collection rather towards powerful women. Some also might pick up the theme’s nod to a certain presidential candidate. The 15 shade collection retails for $10 at your local Ulta store or on their website. These rich shades are available just in time for fashionistas to transition from Summer to Fall shades before your next Mani & Pedi sessions. 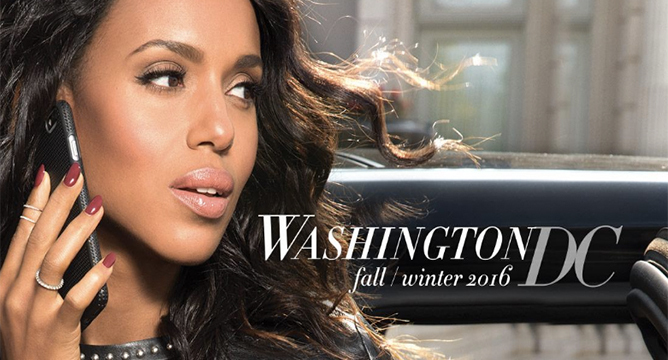 Washington is the first actress to serve as a Creative Ambassador for OPI. Previous OPI Celebrity Collections include Singer Mariah Carey’s Holiday, Singer Selena Gomez, Rapper Nicki Minaj, Singer Gwen Stefani, Tennis Champ Serena Williams and much more. Will you be checking out this collection? What’s your favorite shade? Let us know in the comments below. Follow us on Facebook , Instagram & Twitter to see what we have in store. Let us know what topic you would like next on the blog.